I am excited to bring you this month's feature article. Welcome to this month’s Ezine. Inspiration comes in many forms and Coach John Wooden has been an inspiration to me for many years. I had the opportunity to hear him speak in 1993 when he was 93 years old. 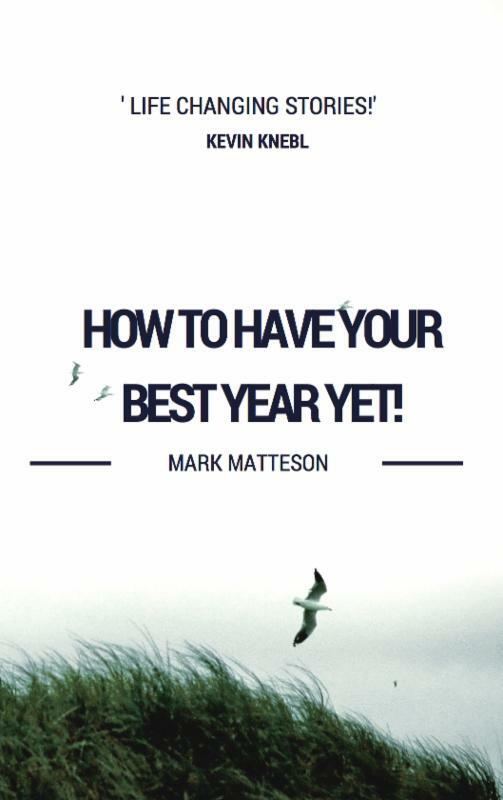 PS: As a special gift for being a loyal reader, I want you to have a copy of my newest eBook: Sparking Your Success: Unlocking Your Potential Greatness . I heard Coach John Wooden speak only one time, in 1993, when he was 93 years young. The media called him “The Wizard of Westwood,” a moniker he disliked. You see, Coach Wooden had won 10 Men’s Basketball NCAA National Championships in 12 years—seven of them in a row! That’s a record I am certain will never be broken. When he was a player, John Wooden was called “Rubber Man” because he had a habit of diving on the floor for loose balls. He was named the 1932 Player of the Year for Purdue’s National Championship team. That day 23 year ago, I was able to ask him what he missed about coaching. He replied, “The two hours a day of planning our practices with my coaches.” Planning two hours a day!?! My second question was, “What book had the biggest impact on your life?” He replied, “After the Bible, I would say Magnificent Obsession by Lloyd C. Douglas.” I immediately went out and purchased a copy and devoured it. That book inspired me to write Freedom from Fear . 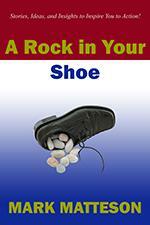 I’m proud to say my little book has sold over 100,000 copies worldwide. Coach had that effect on people. In and out of basketball, he was a coach, teacher, and mentor for millions of people. He passed away in 2010 at the age of 99. No written word, nor oral plea, can teach our youth what they should be. Nor all the books on all the shelves; It’s what the teachers are themselves. Our children (and employees) don’t listen to a word we say, rather they watch every move we make. Able example is the best teacher. Preaching moral platitudes or company vision and values is easy, but walking the line and living them every day takes great strength and commitment. He was fond of sharing moral values that came in sets of three: “Never lie, never cheat, never steal.” Or, “Don’t whine, don’t complain, don’t alibi.” He demonstrated those ideas with his actions. A coach's primary function should be not to make better players, but to make better people. Am I not destroying my enemies when I make them my friends? You can do more good by being good, than any other way. Things work out best for the people who make the best of the way things work out. Players with fight never lose a game, they just run out of time. Friendship is two-sided. It isn’t a friendship just because someone is doing something nice for you. That’s a nice person. There is friendship when you do FOR each other. It’s like a marriage—two-sided. One of Coach Wooden’s favorite poems, which he could quote line for line and did so many times, is a classic. I read it at my oldest son Colin’s wedding. As a father, it is truly some of the best advice I have ever come across. Submitted for your approval. Ben Franklin, one of my favorite men of past centuries, wrote, “To be immortal we must write something worth reading or live a life worth writing about.” Coach did both. There will never be another Coach John Wooden. He truly was a Wizard. I have read virtually every book written about and by Coach Wooden. This one is by far the most inspiring and thought provoking. The quality of the writing, as well as the depth and insight, is astonishing. 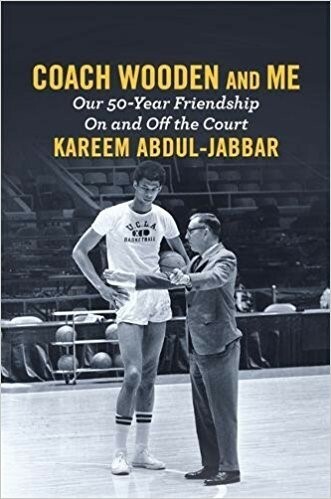 Moreover, Mr. Abdul-Jabbar’s recall and stories are extraordinary and fresh. This is a must-read for any leader, ON and OFF the court!